Blockchain technology is famous everywhere nowadays. The innovative technology has a number of use cases in several industries as well as tech industries. However, the revolution of blockchain has set its foot in healthcare industry also. 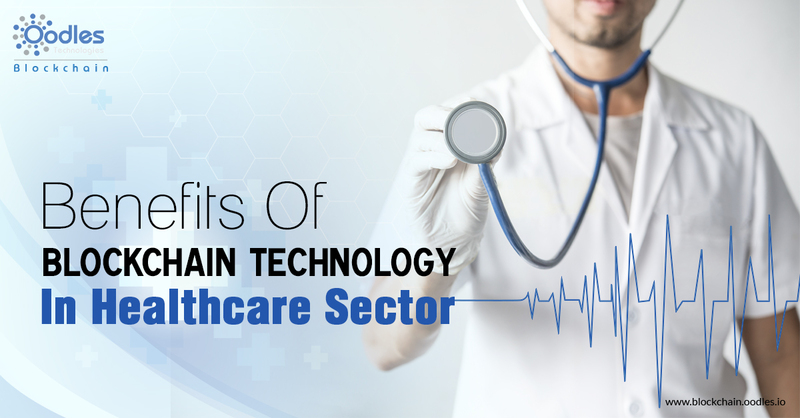 Those who are healthcare experts, or in a healthcare company, they will get interested to know about the benefits of Blockchain technology in healthcare. Blockchain disruption in the healthcare industry will help solve the crucial issues. What if you have full records and history of your health? It is possible with blockchain. The data related to your health is very sensitive and its accuracy is a crucial factor. Blockchain’s specialty is that the data stored on it can be accessed and shared in real time by a group of institutions. Once the data is stored on the blockchain, it becomes permanent. Nobody can modify it. There are two types of Blockchains. The one in which blockchain gives permission to anyone to access the records and the other where a single party has the authority to give access. Now, let’s look into the benefits of Blockchain technology in healthcare to improve the overall efficiency. In healthcare, the exchange of healthcare data can become streamlined with blockchain-enabled systems. Blockchain secures the crucial healthcare data with the use of cryptography. You cannot make any changes to the records as blockchain does not allow it to get mutable. And finally, it will allow smooth access to real-time patient health data, and reduce costs. Thus, seamless and hassle-free data sharing across key healthcare providers play a crucial role in cost-effective treatments. Despite the fact that we have adopted digital technology largely. There are still frauds that are a result of generating a bill from the services which are not even executed. Furthermore, the occurrence of these frauds is 5 -10 percent. And in the USA, Medicare fraud resulted in around $30 million in losses in 2016. But, with the use of blockchain enabled systems, it will help minimize the number of frauds with automated billing processes. Blockchain could help to eliminate the need for intermediaries and decrease the administrative costs. All drugstore companies can make use of the blockchain technology to streamline all the activities of updating drug supply chain log. Counterfeit drugs have caused pharmaceutical companies a loss of around $200 billion. Then again, blockchain-based applications could keep track of every step of supply chain at the individual product level and also ensures a chain-of-custody log.